You are at:Home»iPhone»Cellular»What Uses Data On iPhone? Using Too Much? The Fix! Mobile data is expensive, and when an iPhone is using too much data, the bill you receive from your carrier can be shocking, to say the least. To make matters worse, carriers can’t tell you anything more than which phone is having the problem — they can’t tell you what’s causing the problem. It’s up to you to figure out why your iPhone is using so much data, and it can be very frustrating if you don’t know where to start. It can be difficult to track what uses data on iPhone, but I’m here to show you how. 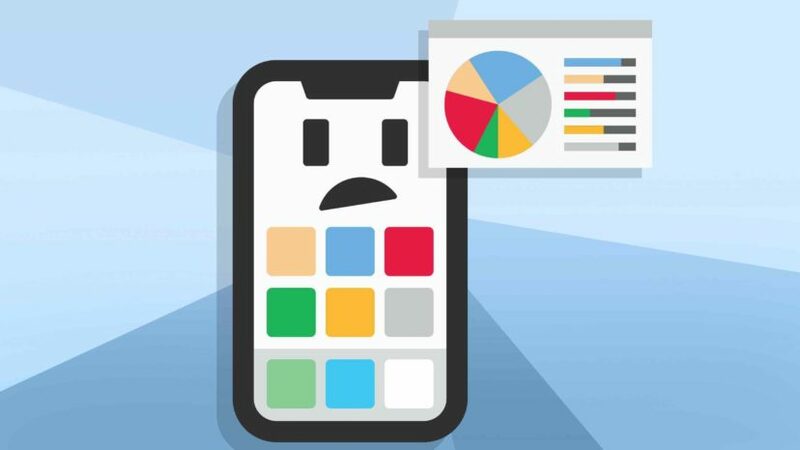 In this article, I’ll help you solve the mystery of why your iPhone data usage is so high. We’ll start by covering a few important points about reducing iPhone data usage, and then we’ll move on to some of the specific problems that may be causing your iPhone to use so much data. How Do I Know If My iPhone Is Using Mobile Data? If your iPhone is connected to Wi-Fi, it’s not using mobile data, and anything you use your iPhone to do won’t count against your data allowance. It’s therefore important to know when your iPhone is connected to Wi-Fi and when it isn’t, and it’s easy to tell. Look in the upper left hand corner of your iPhone. If you see the Wi-Fi radio signal next to your carrier name (in the shape of a baseball diamond), you’re connected to Wi-Fi. If you see LTE, 4G, 3G, or anything else next to the name of your carrier, your iPhone is using mobile data. Always use Wi-Fi when it’s available. 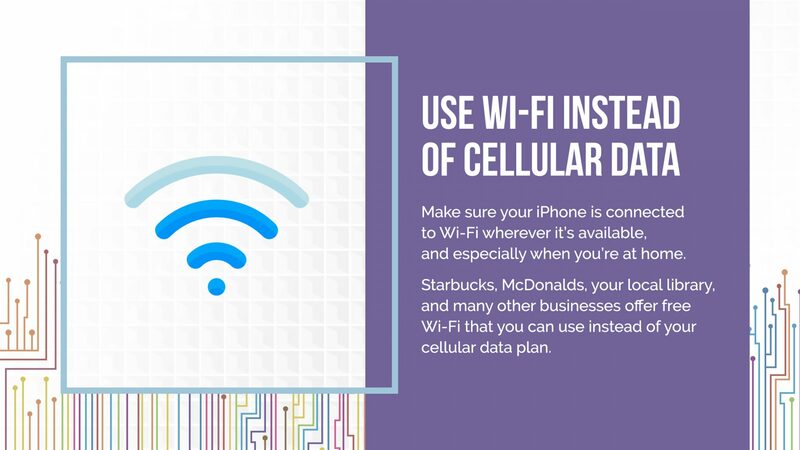 Whether at Starbucks, McDonalds, the Library, or at home, make sure your iPhone is connected to Wi-Fi. Check out this Apple support article called iOS: Connecting to Wi-Fi for instructions about how to connect to Wi-Fi using your iPhone. One of the great features of the iPhone is that once you’ve connected to a Wi-Fi network the first time, your iPhone remembers that connection and automatically connects to that Wi-Fi network when it’s in range. Given the choice, your iPhone should always use Wi-Fi instead of mobile data. It’s important to be aware of what uses the most data when you use your iPhone. 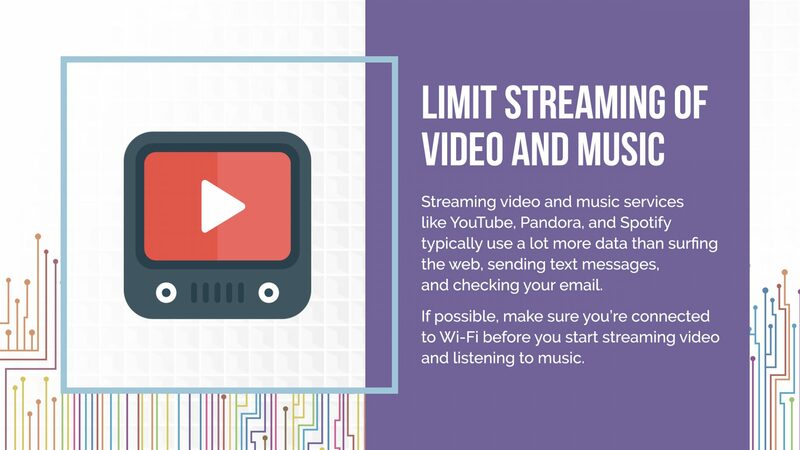 Streaming video and music typically use the most mobile data in the shortest amount of time. It’s important, therefore, to limit your use of video-streaming apps like YouTube, Hulu Plus to when you’re on Wi-Fi. Apps that stream music can also use quite a bit of data, but streaming music uses a lot less data than video. On my iPhone, I only stream video once in a while when I’m using mobile data, but I don’t worry as much about streaming music from Pandora or Spotify. If you want to watch video on your iPhone, especially on long trips, try to download the video to your iPhone before you leave. If you rent or purchase a movie from iTunes, for example, you have the option to download it to your phone using Wi-Fi ahead of time. If you’re already on vacation and you don’t have Wi-Fi at your hotel, head to a local Starbucks and use their Wi-Fi to download the big movie file. I recently met a couple of wonderful people who were doing just that. Once every day or two, close out your apps by quickly pressing the home button twice and swiping up on each app. Apps can send and receive data in the background, and that’s absolutely fine, unless something goes awry. 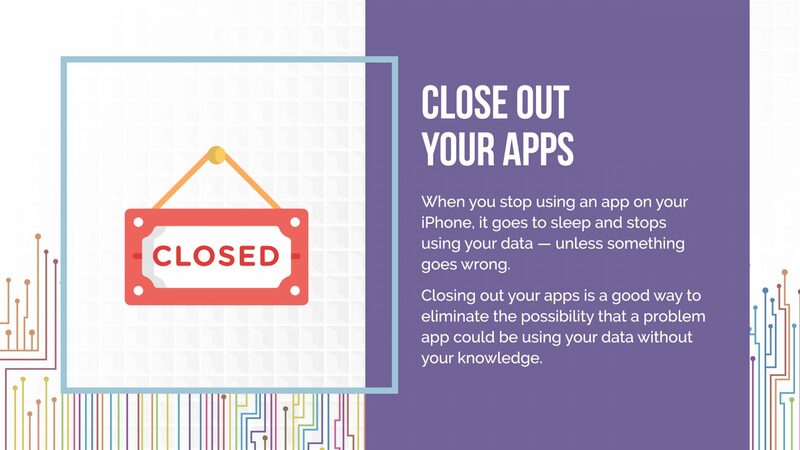 Closing out an app clears it from the application memory and should stop that particular app from using your mobile data in the background. Still Using Too Much Data? On the next page, I’ll show you how to discover which app is using so much data, so you can solve this mystery once and for all. Previous ArticleOffload Unused Apps On iPhone: What It Means & Why You Should! Next Article iPhone Camera Not Working? Here’s The Fix!